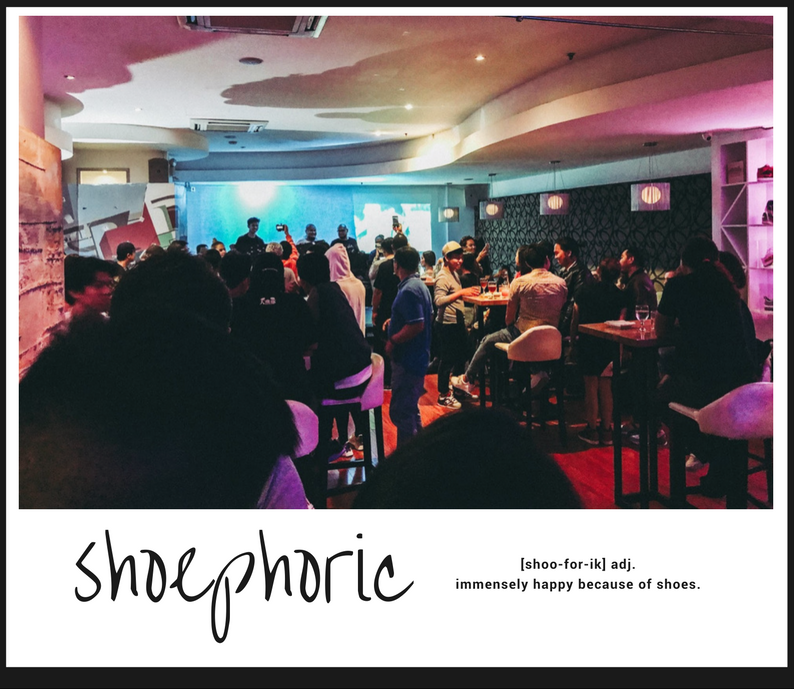 It is officially 6 strong years that Shoephoric has been lending a hand to sneakerheads, shoe-artists and merchants alike; creating avenues for all shoe fanatics to meet, connect, and celebrate their love for shoes in which the very core of this community is founded. And so, to honor all those amazing years of friendship and shared passion, Shoephoric gathered its members for their annual camp - now established as what we call All Soles Day. Beginning with a dream and soleful purpose, the Shoephoric community family has grown so much over the years as is their gratitude to each person or brand that has stood behind them. 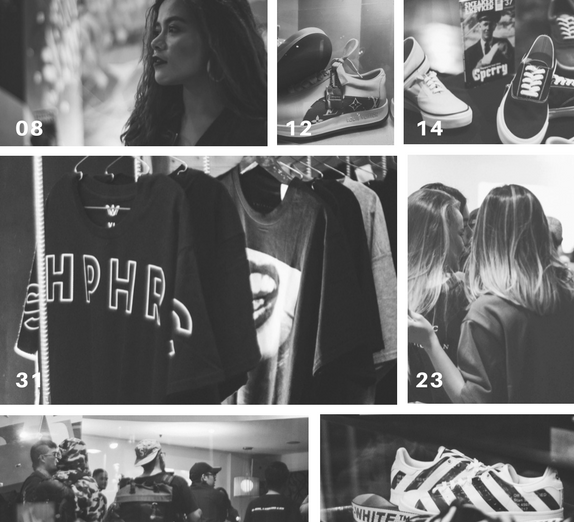 So, to give back, this year's event took a turn by organising an open photo competition and exhibit called "I Am Shoephoric" in which the theme highlights not only the sneaker culture in Manila, but the dynamic streetwear lifestyle that it entails. (You can view the Top 20 and winning photos here!) Along with this exhibit, this year's 2-day event also celebrated the launch of a collaborative streetwear collection which was wrapped up by an exclusive afterparty where close friends and partners gave mark to the last 6 years, making #ASD2017 the first of its kind! From the exhibit entries, shoe displays, the venue itself, to the familiar and respected faces from the scene and down to the food and drinks served by Atrium's Society Lounge, I can say with confidence that Shoephoric gave back to the community big time - and I'm not just talking about the ridiculously fabulous raffle. The exclusive afterparty was nothing short of a visual and gustatory delight! And seeing how everyone in attendance had a straight-up chill time, I did not doubt how this family could only get bigger from here. 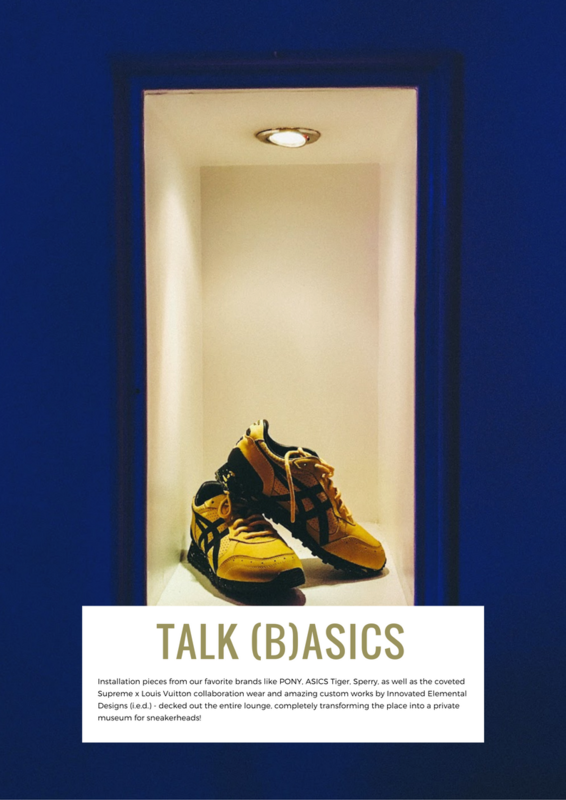 It requires a great amount of love, loyalty and respect to create a community that can withstand the test of time, and much more than an extensive list of event partners or sponsors to prove that kind of support. 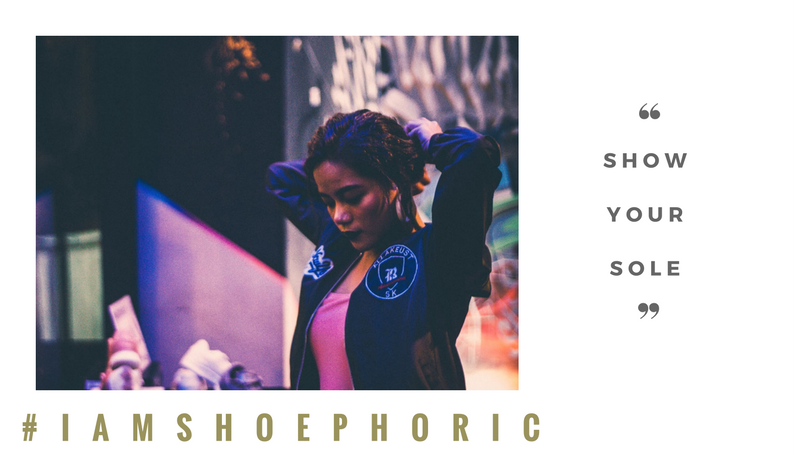 Shoephoric has encompassed both within its toddler years and I am thrilled to have been a part of it, just as I am - as both a member and a supporter - to think about how else they can put a bigger spotlight on Manila's booming and ever-evolving sneaker, photography and streetwear scene. 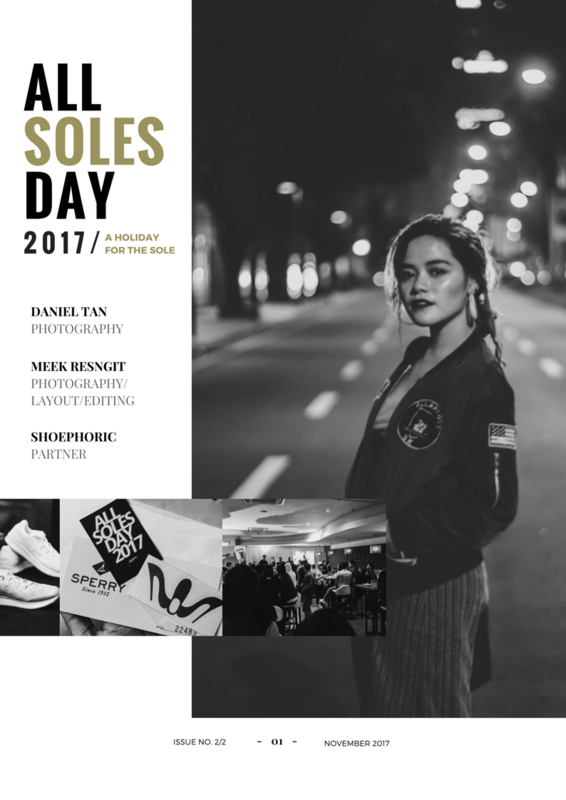 That being said, All Soles Day 2017 all-in-all inspired a newfound comfort and confidence in me to embrace not only my own personal take on street-style, but the great chunk of my everyday life that is spent around the city, a camera in hand, as well. Come live the event in action with me here!